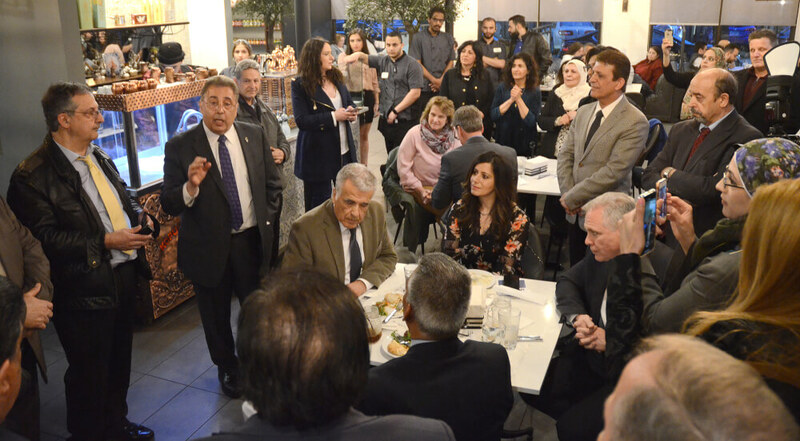 More than 100 elected officials and Arab American community leaders came together on April 10 to celebrate the revival of Arab American Heritage month, April. 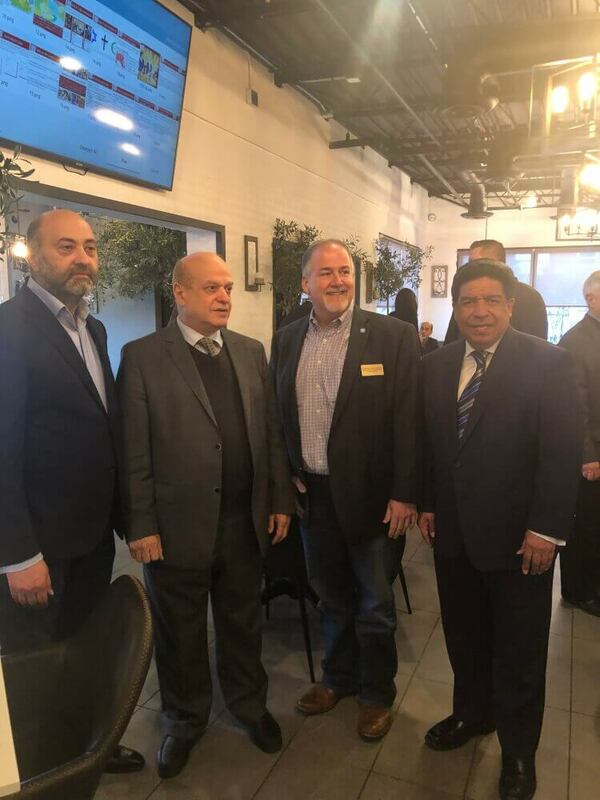 The commemoration of Arab American contributions to this country and their culture was codified in a state law introduced by Illinois House Speaker Michael J. Madigan and approved unanimously by the Illinois General Assembly and signed into law on Dec. 14, 2018. Arab American heritage month had previously been held in November but was gutted for political reasons by former Chicago Mayor Rahm Emanuel and former Governor Bruce Rauner in 2011. In December, however, Illinois House Speaker Michael J. Madigan moved to restore the commemoration for Arab Americans. 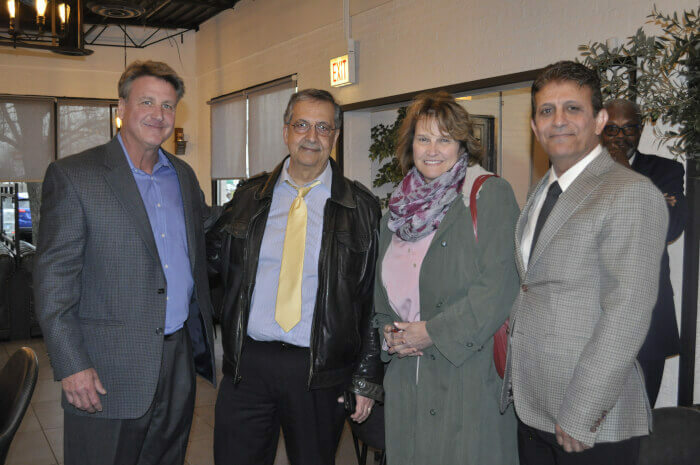 Madigan introduced a law recognized April as “Arab American Heritage Month” and it was approved unanimously by the Illinois House and Illinois Senate, and signed by the governor on Dec. 14, 2018. “I am very grateful to be here and appreciate the warm welcome I have received. 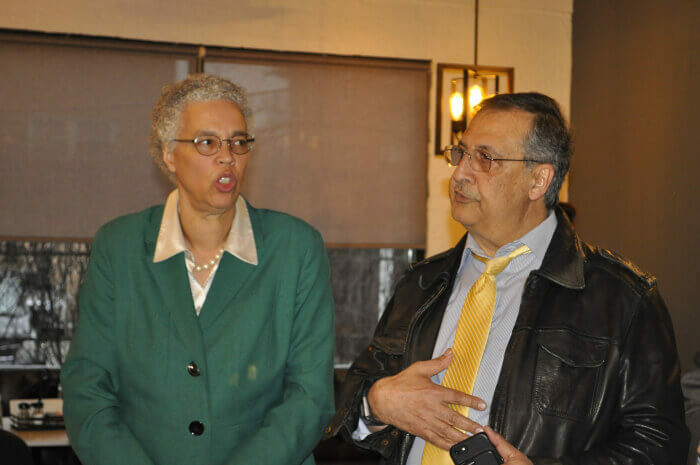 I always say I am a history teacher by profession and I know that America is a great nation because people have come from all over the world to make it so,” Preckwinkle told the packed restaurant attendees. 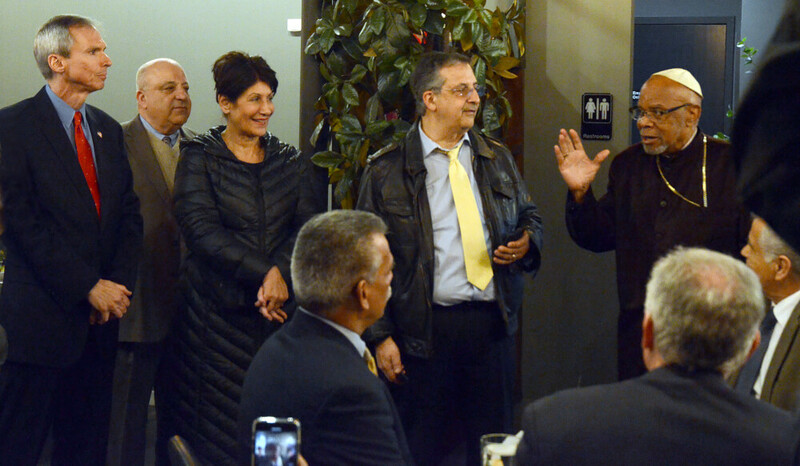 The event was organized by Mansour Tadros, the publisher of The Future News Arab American newspaper, Samir Khalil, Executive Director of the Arab American Democratic Club, and journalist and media consultant Ray Hanania. “We are very proud to revive this annual commemoration that Mayor Rahm Emanuel so effectively ended immediately after he was elected Mayor. We are all very proud Americans. 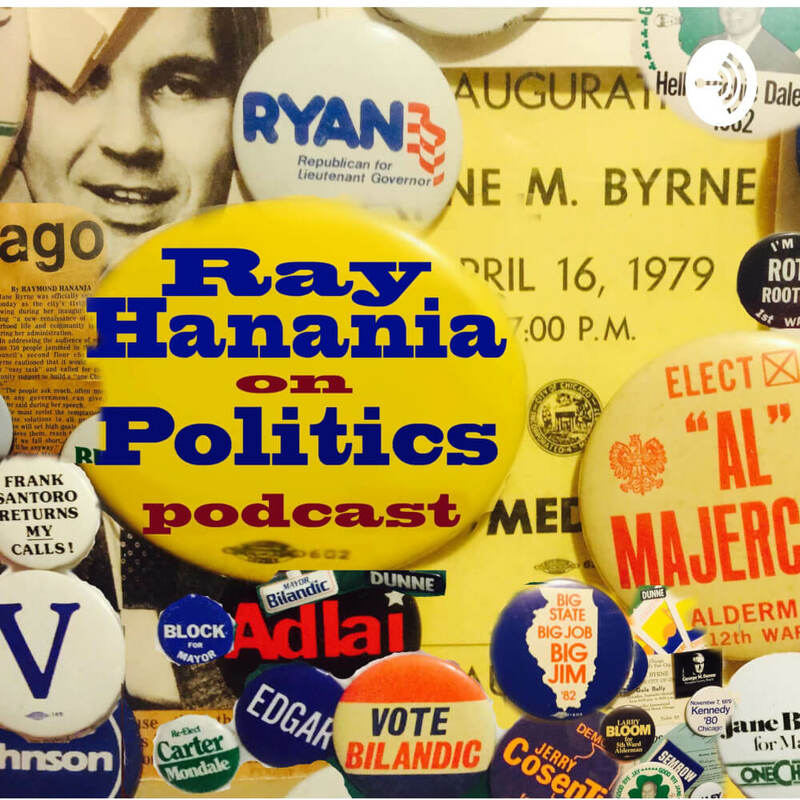 We have served in our nation’s military to defend this nation, and work in every level of business and commerce in Illinois,” Hanania said in welcoming everyone to the event. Also attending and speaking to the group were Congressman Dan Lipinski, Cook County Treasurer Maria Pappas, Mayors Keith Pekau of Orland Park, Sergio Rodriguez of Summit, and Barrett Pedersen Mayor of Franklin Park, Palos Township Officials including Trustees Brent Woods, Rich Riley and Sharon Brannigan and her husband Michael, Palos Hills Alderman Michael LeBarre, newly elected Orland District 135 Trustee David Shalabi, former Chicago Board of Education member Anna Mustapha, Appellate Court Justice Jessie Reyes, former Palos Democratic Committeeman Sam Simone and current Committeeman and Robert Maloney and representatives from a dozen suburban library systems. Arab American leaders supporting the event included Bill Haddad, president of AMVOTE, Mazen Barakat publisher of Hyatt (Life) Arab American Magazine and members of his newspaper staff, Edward Hassan of Edwards Reality, publisher Emile Haddad, Shadin Maali former candidate for Moraine Valley Community College trustee, Engineer and realtor Abder and Amani Ghouleh, and Interfaith Illinois leaders and Bishops Joseph Jones, Claude Porter and James Springfield. 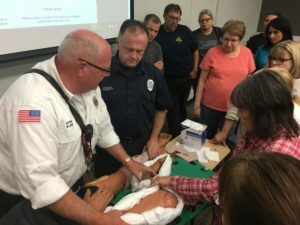 Among those who could not attend but offered their congratulations were Illinois House Speaker Mike Madigan, Senator Steve Landek and Senator Martin Sandoval and Representatives Mike Zalewski, Bill Cunningham, who were in Springfield. Former Tollway Director Liz Gorman, Circuit Court Clerk Dorothy Brown, Lyons Mayor Chris Getty also offered their support celebrating Arab heritage. 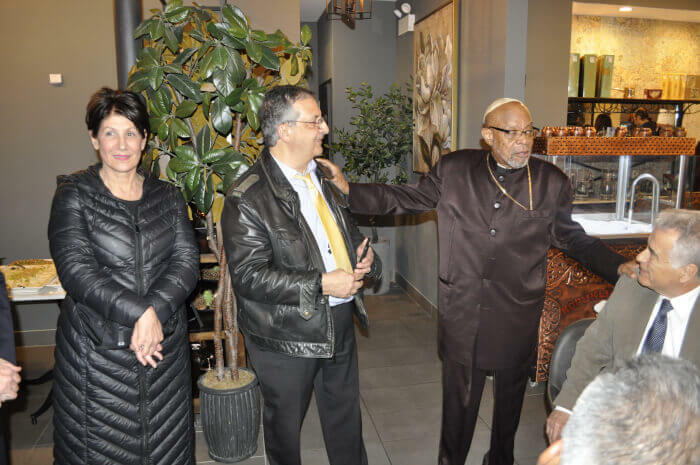 The event was supported by Nemer Ziyad of Ziyad Brothers Importing and also leaders of the Muslim and Christian religious communities. 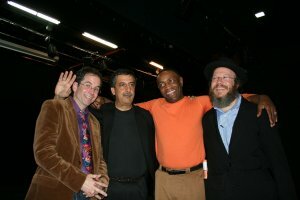 Leaders of Interfaith Illinois with Mansour Tadros, publisher of The Future News Newspaper. Mansour Tadros, publisher of the Future News Newspaper and FutureMediaUSA.com new website, thanked all of the elected official for attending the event that he was critical in organizing. Salutes were also offered by U.S. Senator Tammy Duckworth, Stickney Township Supervisor Lou Viverito and his wife Carolyn, Chicago Ridge Mayor Charles Tokar, and Metropolitan Water Reclamation District Trustee Mariyana Spyropoulos. “We have been working hard to make this happen and we are happy to give everyone an opportunity to enjoy our food which has a Western touch with a Mediterranean cuisine taste. 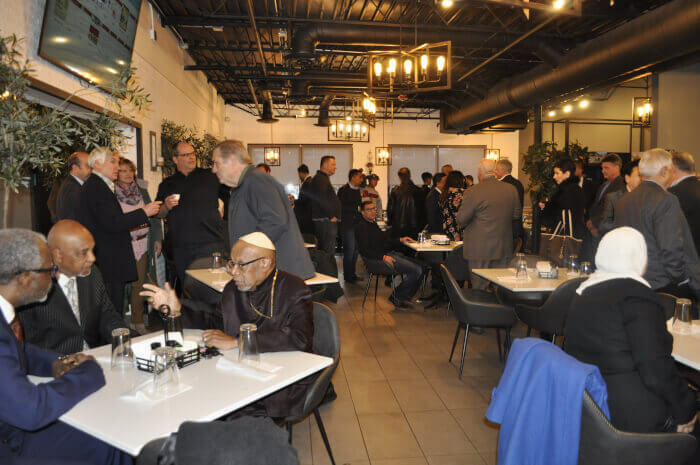 We want to offer a taste of both worlds, to be diverse and send a message that we are proud to be here in America,” said Oozi Restaurant General Manager Osama Daoud. 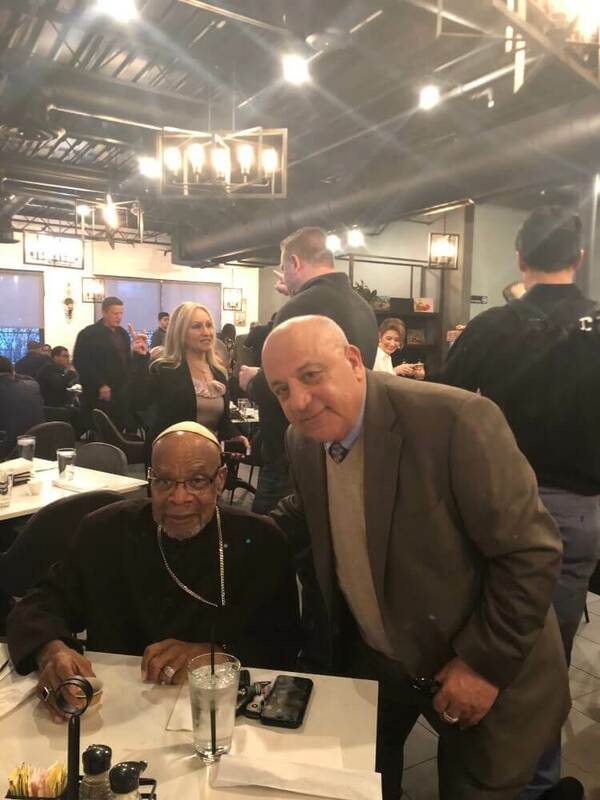 Oozi Corner Restaurant, located at 9115 S. Harlem Avenue, has only been open for seven weeks, Daoud said as he welcomed the nearly 120 attendees. Morrison introduced a Proclamation to the Cook County Board to recognize Arab American Heritage Month on March 20 that was unanimously approved. “I am proud that my Cook County District has the largest concentration of Arab Americans in Illinois. Arab Americans are a very diverse but also a cohesive group. They originate from 22 different Middle East and North African countries including from Jordan, Lebanon, Palestine, Egypt and Syria,” he said. Tadros welcomed attendees adding the Arab Community is honored to have so many elected officials and community leaders here to re-launch the annual celebration. 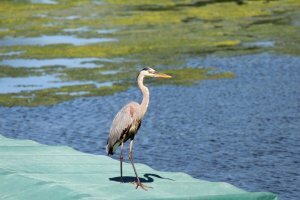 “We have a strong community that is diverse. 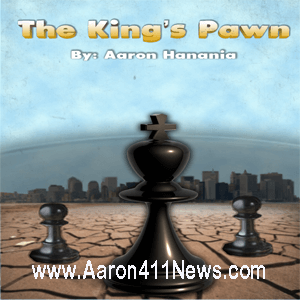 Christians, Muslims and even Jewish Arabs. 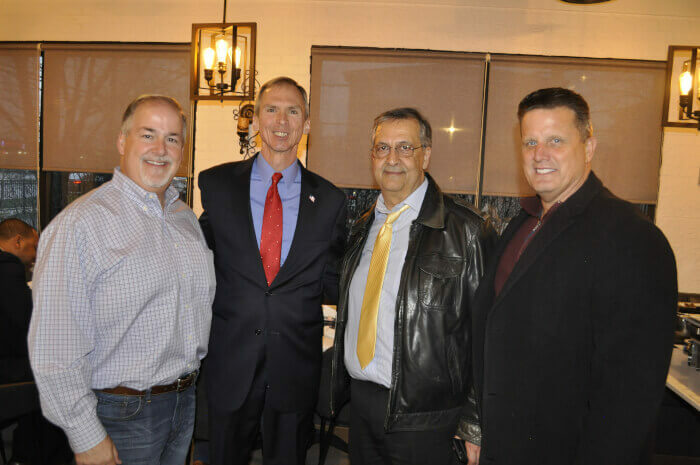 We appreciate the support that we receive from the elected officials who represent our communities,” said Tadros whose newspaper website is www.FutureMediaUSA.com. 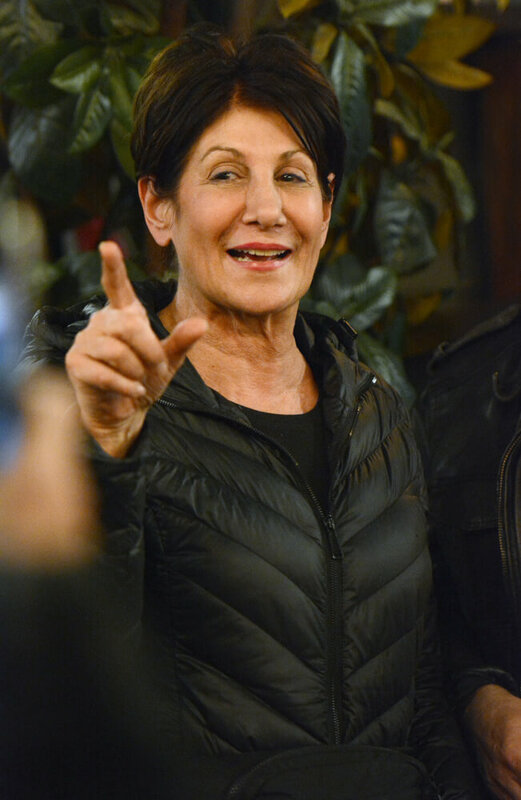 Brannigan, who has been the target of protests by extremists, said she was grateful to the Arab American community for “opening new bridges of understanding,” adding that she has a stronger appreciation for the sacrifices and dedication that Arab Americans have made to make this country stronger and better. 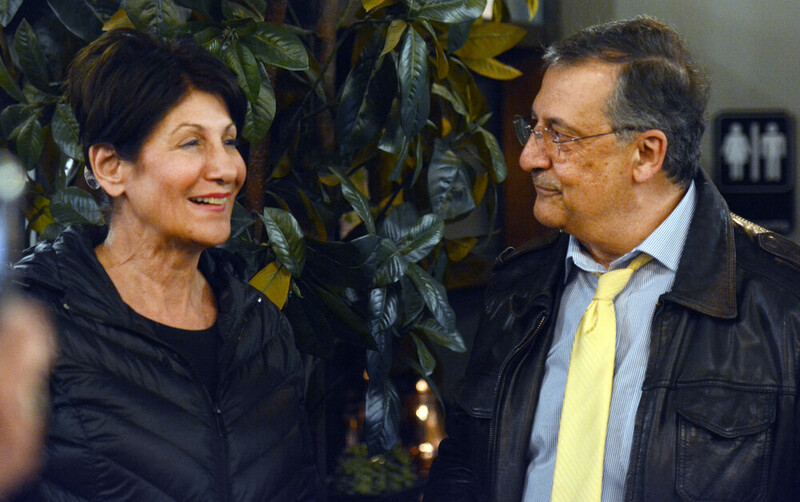 “I met so many Arab American leaders here today who told me that understanding and working together are goals they share and I respect them very much,” Brannigan said. Illinois has joined 19 other American states according to Arab America based on Washington D.C. in recognizing April as Arab American Heritage month. Some of the states celebrating Arab American Heritage Month include Arizona, California, Michigan, Washington, Texas, New York, New Mexico, Colorado, and Washington D.C. A full list of states is identified on the ArabAmerica.comwebsite. For more information on Arab American Heritage also visit www.ArabWarVeterans.comand www.ArabAmericanHeritage.com. The event was also covered by local news media including WGN TV. THIS POST HAS BEEN READ 8450 TIMES SO FAR. THANK YOU!